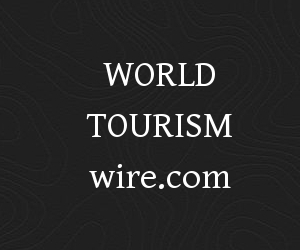 The Waikato Tourism Monitoring Observatory, New Zealand’s first tourism observatory, has joined the World Tourism Organization (UNWTO) International Network of Sustainable Tourism Observatories (INSTO). Committed to regular and timely measurement of tourism and its impacts and hosted by the University of Waikato Management School, the observatory is focused on two major tourist locations in Waikato region – Raglan and Waitomo. “New Zealand is an example of tourism sustainability and thus the incorporation of the Waikato Observatory to the UNWTO INSTO Network adds immense value to this global initiative,” said UNWTO Secretary-General Taleb Rifai. “The Waikato Tourism Monitoring Observatory is a wonderful initiative that will provide valuable data over time to support the tourism sector to maximize its contribution to the economy, while ensuring our visitors enjoy high-quality experiences,” said Paula Bennett, Deputy Prime Minister and Minister of Tourism of New Zealand. New Zealand’s tourism sector is experiencing continuous growth and therefore requires an adequate measurement of tourism impacts. This observatory is crucial to providing tangible evidence for well-informed decision making in sustainable tourism development-related themes. The Waikato Observatory seeks to support the strengthening of the world famous surfing town Raglan as a sustainable destination, while continuing to protect the unique landscapes and the biodiversity of Waitomo and its iconic tourist attraction the Waitomo Caves. Overall, the Waikato region received 357,000 visitors in 2015, most of whom were domestic visitors (approx. 200,000). Due to an already existing strong sense of community and engagement of its members especially in the more mature seaside tourism town Raglan, the observatory will start with focusing its monitoring efforts on crucial socio-cultural aspects such as ‘local and visitor satisfaction’. Additional areas encompass ‘destination economic benefits’, ‘tourism seasonality’ and ‘development control’ in the short term, extending in the long-term to measurement activities related to waste management, housing issues, water supply, sewage management, among others. INSTO is a network of tourism observatories monitoring the economic, environmental and social impact of tourism at the destination level, committed to regular monitoring of tourism in order to better understand destination-wide resource use and foster responsible tourism management. There are currently 18 observatories in operation worldwide.